After Microsoft’s Kin, now Nokia is next in announcing a phone specifically for the teens. The new phone is the Nokia X5-01. Nokia is aiming directly at teens and the phone is designed to do just that. With its unique, square slider design supports Facebook, chatting, games and music player. 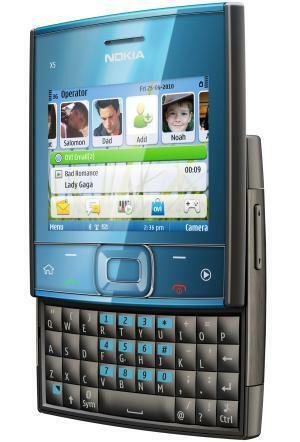 The phone also features a slide-out QWERTY keyboard and the comes with speakers that produce crisp clear sound. The phone also has 200 MB of storage which is quite decent but also has a microSD card option and comes with a 2GB microSD card right out of the box. The 32 GB SD card is the max that the phone will support. The phone also is equipped with a 5MP camera with 4x digital zoon and an LED flash. The one cool thing about the phone is that its battery is good for 16 days standby and can play music for a straight 18 hours. The launch date is set to sometime in Q3 and the price is yet to be released. So teens you might want to wait.